World-famous Italian opera singer Enrico Caruso hand-drawn self-portrait sketch signed. Charcoal sketch is likely of Caruso in character from one of his many performances. Best known for his signature role as Canio in ''Pagliacci,'' Caruso sang as a tenor at the New York Metropolitan Opera and counted Italian, German and French operas among his repertoire. 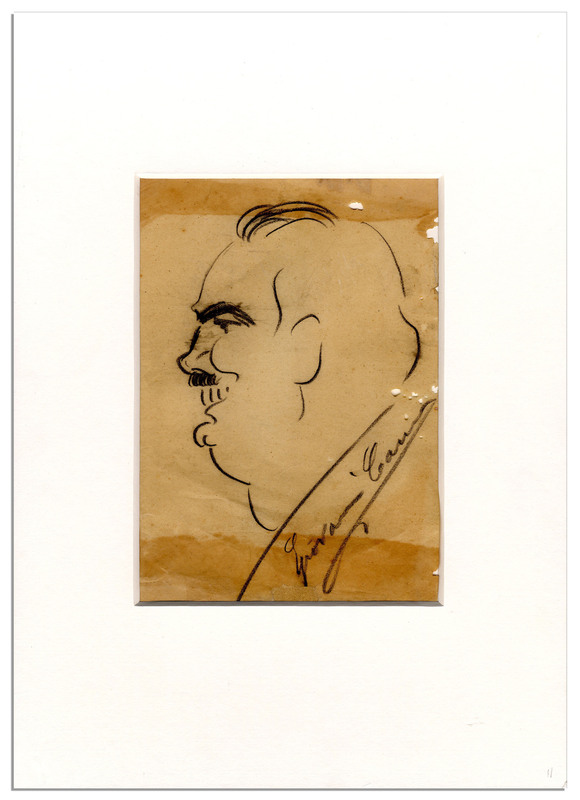 Caruso's distinctive drawing style is evident in this sketch, which he signs, ''Enrico Caruso'' on the lower right. Matted in white to an overall size of 10.5'' x 14.5''. Toning and holes scattered on the right side, else near fine.